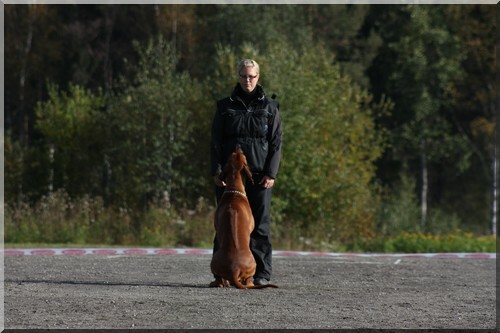 I started to training obedience with Arttu soon as he joined our pack. We have been training little group on VarPs wich is meant for dogs who aim to compete in obedience. In May 2009 we have opportunity to participate for the weekend course in obedience by Leena Välimäki. Arttu is very easy to motivate becouse he likes sofar so much food and playing. He likes to work with me and has showed very nice ability for obedience. More training pictures you can find here.